Born at Port Perry, Ontario on 13 November 1896, he moved with his family to Manitoba in 1902. He was brought up on the family farm at Swan Lake and received his early education there. He complete grade 12 at Regina, Saskatchewan and was working as a school teacher when, in 1915, he enlisted in the Canadian Expeditionary Force and served in France, Belgium, and Germany, being involved in battles at Ypres, Mons, Cambrai, and Vimy Ridge. Returning to Canada following his military discharge, he took an Arts degree from Victoria College (Toronto) in 1923 then a theology degree from Wesley College, being ordained a Methodist cleric in 1925. He served at Sidney United Church (1928-1930), High Bluff United Church (1930-1934), Warren United Church (1934-1938), Elgin United Church (1938-1940), Kenton United Church (1940-1946), Shiloh United Church (1940-1946), Grandview United Church (1946-1950), Roland United Church (1950-1954), Basswood United Church (1954-1960), Cadurcis United Church (1954-1960), Victoria United Church (1960-1965), and Napinka United Church (1960-1965). 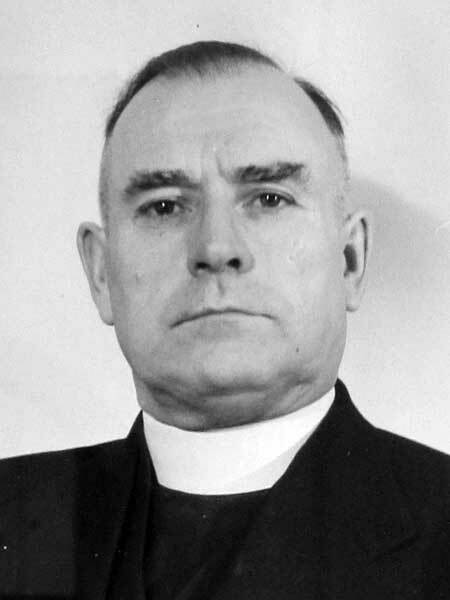 He retired in 1965 but continued to serve as an Assistant Minister at Fort Frances, Ontario for another five years until final retirement in 1971 when he returned to Manitoba and resided at Winnipeg. He assisted in the establishment of the Agricultural Museum at Austin, serving as its founding President. In 1973, he received a Margaret McWilliams Award for his local history book The Golden Thread. He died at Winnipeg on 10 February 1983 and was buried in Chapel Lawn Memorial Gardens. A collection of his diaries, manuscripts, and miscellaneous materials are held at the Archives of Manitoba. Obituary, Winnipeg Free Press, 12 February 1983, page 61. Obituary [Florence Elizabeth Hambley], Winnipeg Free Press, 29 May 1979, page 42. We thank Kris and Ruth Breckman for providing additional information used here.